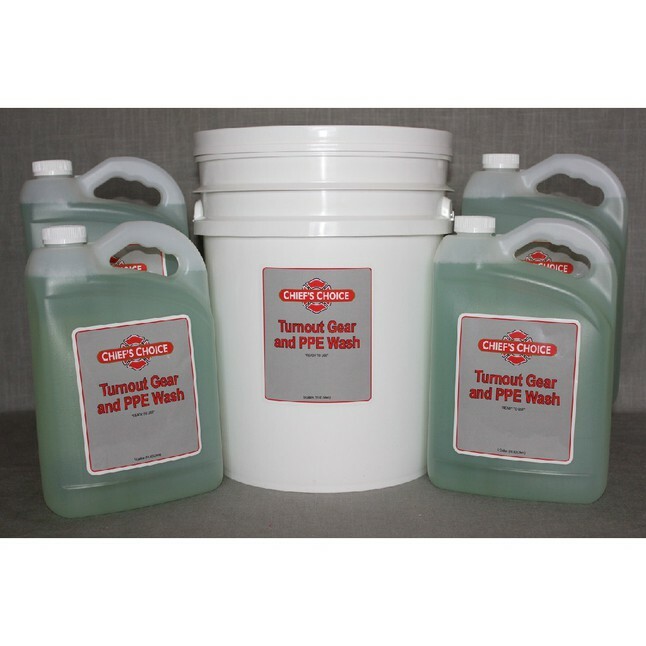 This wash solution has been carefully developed to ensure the safe cleaning of all firefighting turnout gear and other PPE. It has been successfully tested on the outer shell, moisture barrier and thermal inner fabrics. Chief's Choice Turnout Gear Wash meets the recommendations setforth by NFPA 1851, 2008 edition, related to detergents used for the cleaning of turnout gear. Strong enough for cleaning heavily soiled turnout gear yet gentle enough for everyday laundry washing needs.